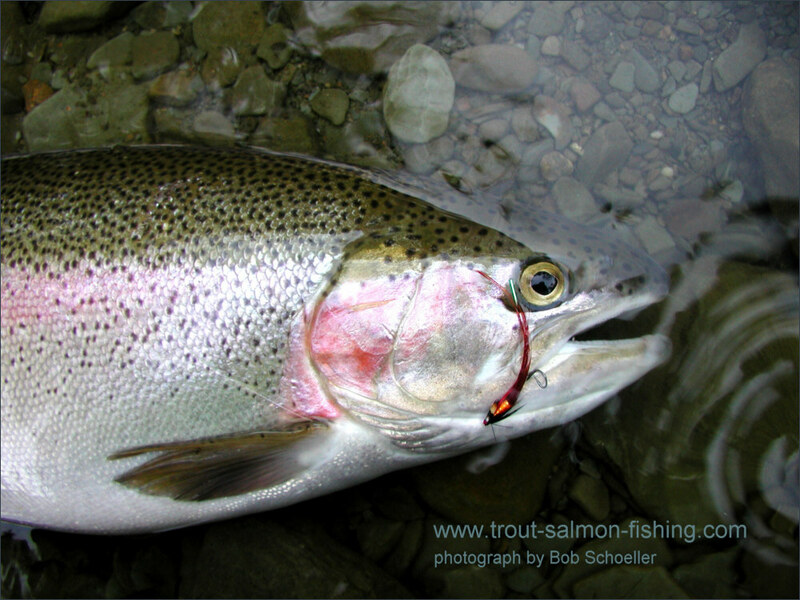 This article is based on extracts of correspondence from Bob Schoeller, an accomplished fly fisher and fly tyer, who fishes for the steelhead of Lake Erie and its tributary streams. 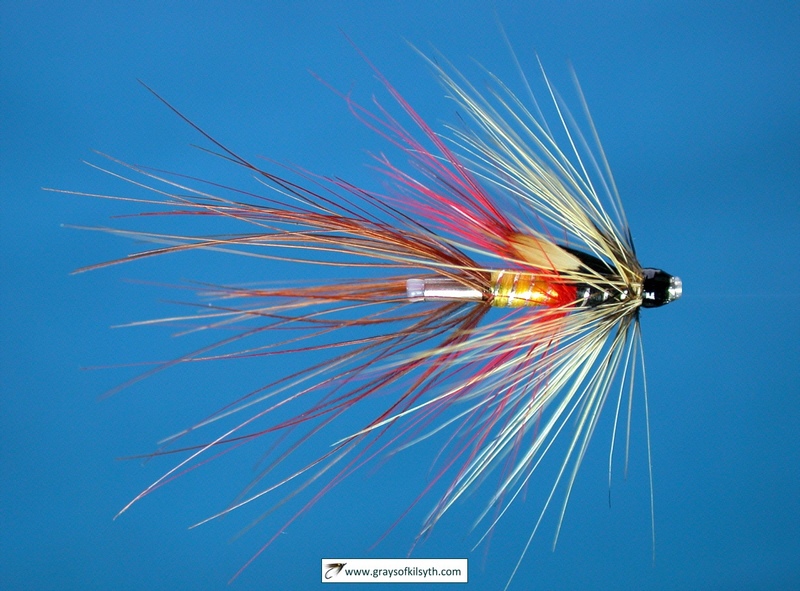 Bob has had great success this season (2008) with a selection of beautiful steelhead flies which he has dressed on Grays Needle Tubes, a newly developed range of ultra slim stainless steel fly tying tubes, developed and made in Scotland by Grays of Kilsyth. 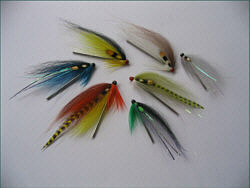 Bob has used the longer lengths of needle tube to create a range of stunning baitfish patterns, which have proven extremely effective fished from the lake shore, while the shorter needle tubes have been dressed as small colourful shrimps, for use later in the season on the tributary streams. 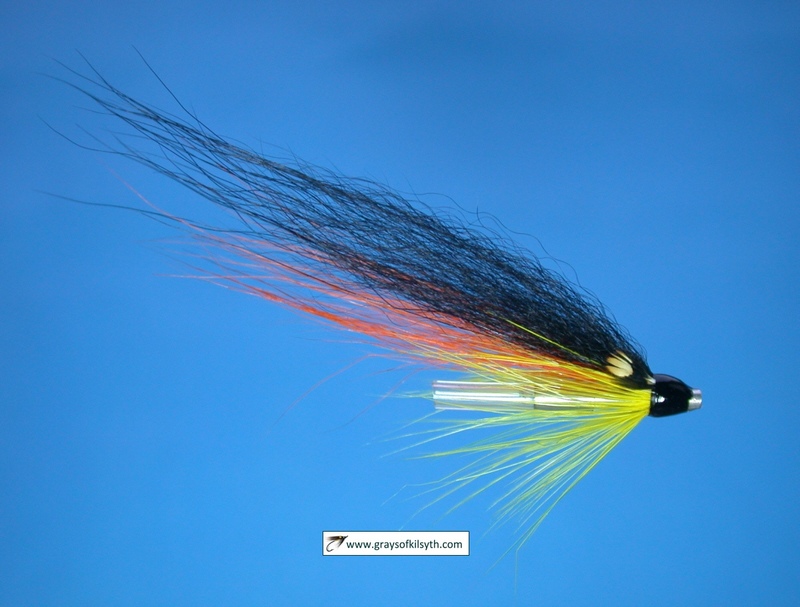 Bob writes, "I have tied most of the needle tubes in baitfish patterns that I use at the mouths of the tributaries where they enter the Great Lakes. We fish at night or early morning so I assume it would be similar to your sea trout fishing, although we fish mostly in the lake itself at this time of year rather than the rivers. In the lake I will fish with flies that resemble baitfish that the steelhead feed on (Juvenile Smelt and "Shiners"). 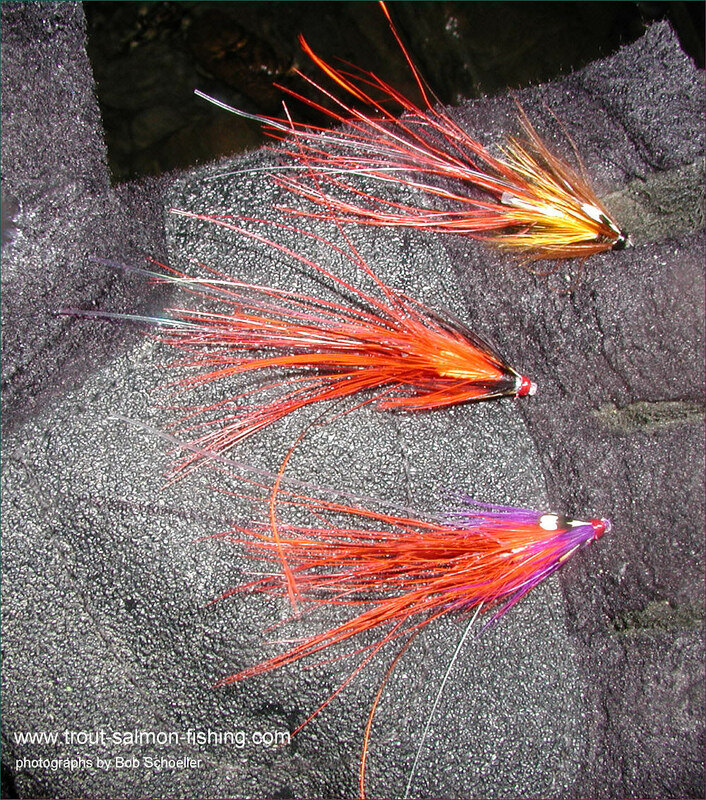 Later in the season, when the fish actually enter the rivers in big numbers, I will switch to more colorful attracter patterns and shrimp patterns. I have landed a number of fish to 10 lb without a problem. Most of the time the tube has slid up the line out of harms way as the fish runs off line. 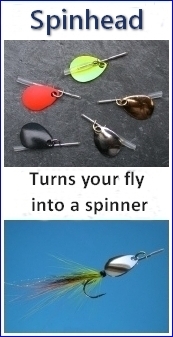 I use a tiny size 16 or 15 tube treble with a very small eye for this fishing, and the hook is held just barely by the junction tubing. 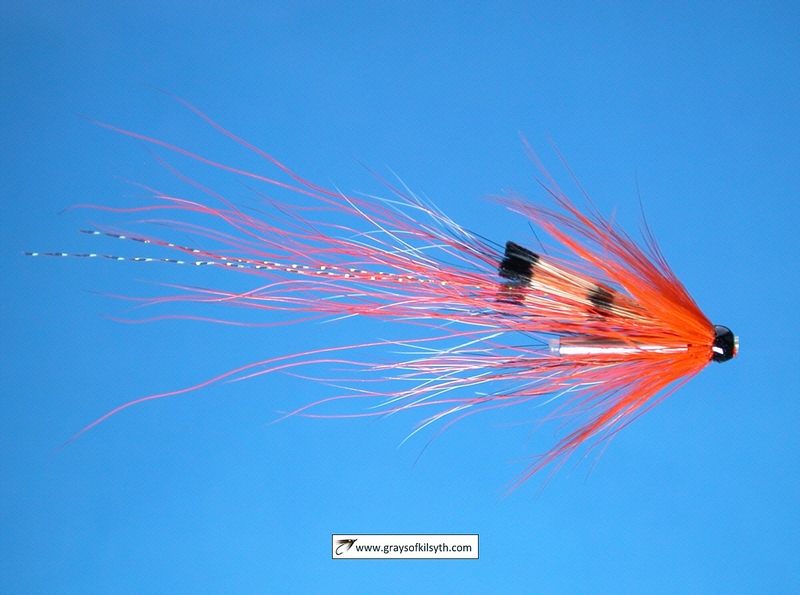 The needle tubes have proved to have just the right sink rate to allow me to fish off the beach while at the same time not hanging up on the bottom in the shallows. 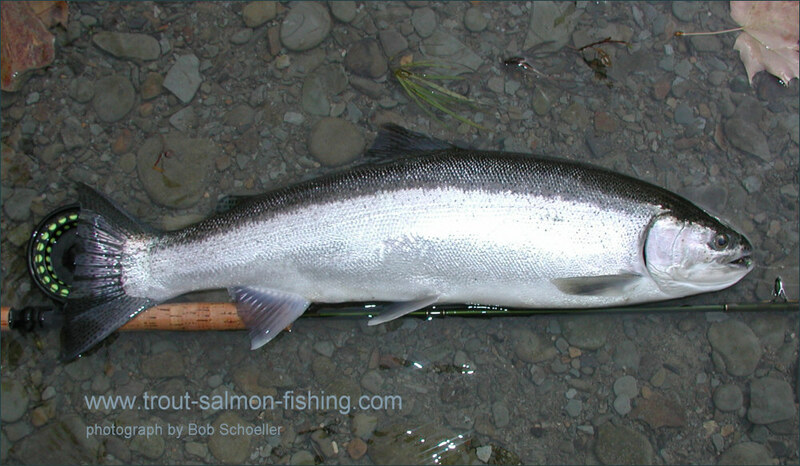 Sometimes at night the steelheads will be feeding in water only a foot or so deep with their backs sticking out of the water. You can hear the splashes and see the wakes they make by moonlight. 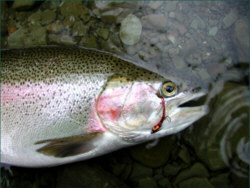 It can be quite a nervous experience to be casting into waters when these fish are close at hand. I got out again today and had a cracker of a day! 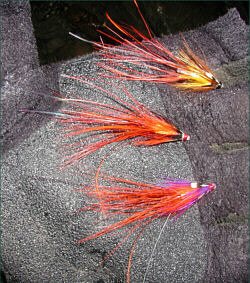 I really got lucky and got some very nice fish this morning ..... all on your needle tubes. They certainly have helped my fishing this year. It's the best year I've had to date due in no small part to the needle tubes. Most of the fish we caught were ones that had been in the river for a week or so and had a little color, but I did get one really bright fish as you can see ..... Fresh in! The fish were running through the shallow rapids as we walked in the dark down to the pools we wanted to fish.. You could hear them splashing. By daybreak they had settled into the pools and we had good sport. The three of us landed 19 fish for the morning (all on your needle tubes) ..... 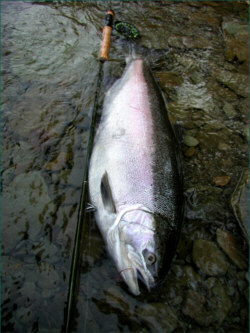 The biggest one was a very fat hen fish of 16 lbs ..... the best of the year thus far for me. "